Christmas will be here before you know it, and if you’ve got comic lovers on your list, you’d better figure out what you’re getting soon. That can be a daunting task, but we’re here to help. So whoever you’re shopping for, whatever your budget, we’ve got you covered. We review lots of comics and merchandise throughout the year, and what follows is the cream of the crop. There’s plenty of zaniness here for people of all ages, but one of the most notable distinctions about Cyko is that it isn’t likely to rub against most parents’ sense of what’s appropriate for their kids. That’s a rare thing! This is hands-down Marvel’s best title right now, and any one issue reads well on its own. 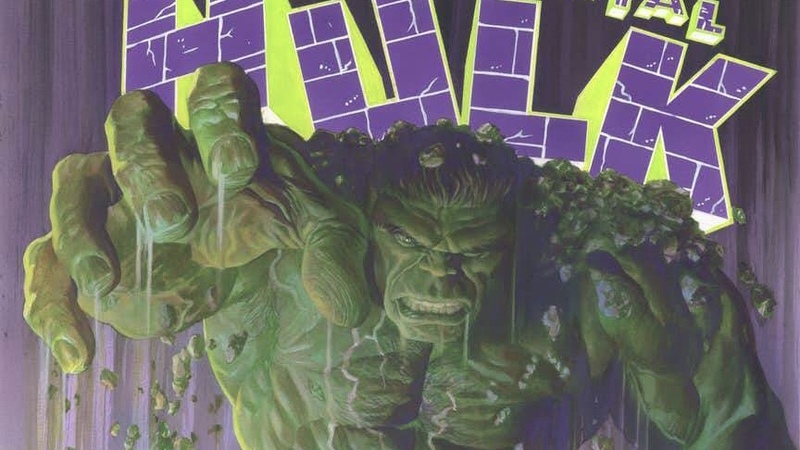 The Hulk is a physical and psychological horror show, and this book captures it all. If you’re shopping for a superhero fan, you can’t do better than this book. The characters are larger-than-life legends, the villains are worthy, and the battles are downright epic. This book has a nutty, hilarious concept, but once you start reading, it hits you right in the heart. This is some of the most fun we’ve had with comics all year, so make Christmas much more metal and pick up the first few issues of Murder Falcon for the folks on your list. Some people prefer to read their comics in big collections rather than single issues. Here’s how to make them happy. One of the sweetest books we’ve read all year, Petals is a touching story that can be enjoyed by any age. The artwork is delightful and highly effective at telling the story, and it ought to be—there aren’t any words! We’re picking this for kids, but anyone who appreciates comic storytelling should love this. This one’s not cheap, but honestly, there’s not a better collection of comics on the market today. If you’ve ever wondered how Spider-Man came to become one of the most well-known characters in all of pop-culture, this book is the answer, and it’s excellent pretty much the whole way through. A precursor to the current run of Justice League, No Justice is a four-part romp across the cosmos with DC’s biggest heroes. The story is imaginative, exciting, and humorous, the artwork is outstanding, and it sets the stage for the best take on Justice League in several years. 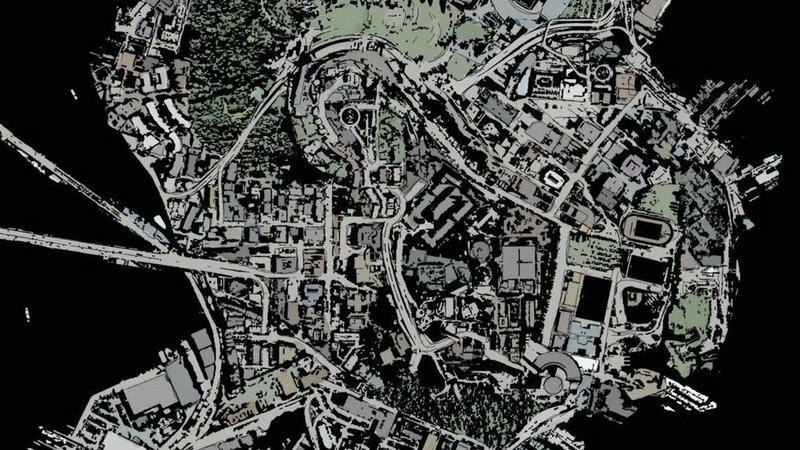 We don’t generally like horror stories, but Gideon Falls is just too good to ignore. Jeff Lemire and Andrea Sorrentino have collaborated on a number of notable projects over the years, and this may be their best team-up yet. Our kids play with them, we display (and also play with) them. But which “thems” make the best gifts this year? If you can afford it, you should track down all of the Walgreens-exclusive Fantastic Four figures, but if you can only get one, make it the ever-lovin’, blue-eyed Thing. Sure, he’s an awesome character, but this is also one of the best-made Marvel Legends figures on the market. It’s heavy, it’s solid, and it comes with different head and hand options for a variety of great display possibilities. The Multiverse figures aren’t quite as well-made as the Marvel Legends stuff, but this one is a respectable take on the absolutely beautiful interpretation of villain Black Manta from the upcoming Aquaman film. This one has actually been out for a few years now, but it’s only become easy to find in the past six months or so. It’s oversized, imposing, and based on one of the coolest-looking, funnest villains in the Marvel Universe. We’re not the biggest fans of most recent takes on the Clown Princess of Crime, but this Vinimate is actually pretty fantastic. The pose and costume detail is great, and the mallet is perfect. For bonus points, pick up the Joker—they look great together. LEGO are big enough to have their own category, and it doesn’t hurt that they make lots of amazing sets for both Marvel and DC. So which ones are the best we’ve seen this year? Brian’s three sons got a ton of Infinity War sets earlier this year, but when he asked them which one was the best, they were unanimous: the Sanctum Sanctorum Showdown. With over 1000 pieces and some amazing minifigs, it’s easy to see why. The LEGO Batman Movie inspired some truly great sets over the past year. While you can’t really go wrong with any of the offerings, the Egghead Mech Food Fight may just take the cake for all-around best set: it includes Minifigs of Batman, Egghead (!) and Condiment King (!! ), and you can construct an egg-mech (!!!) that fires over-easy eggs (!!!!). It is amazing. Then there’s The Justice League Anniversary Party set, which comes with a ton of Minifigures: Superman, Green Arrow, Hawkgirl, El Dorado, and Wonder Dog. With this set, you can recreate the scene from The LEGO Batman Movie where the League celebrates their anniversary in the Fortress of Solitude...and Batman finds out he’s not invited. While it’s hard to top “guy with an egg-shaped head riding in an egg-shaped robot,” this set is pretty awesome for its own reasons. The plethora of characters is a huge bonus, and touches like different sets of wings for Hawkgirl are great, but the main draw is just the overall fun design of the set. You’ve got hanging lights, a rotating dance floor, a speaker set up, and DJ Wonder Dog at the turntables. He’s spinning records emblazoned with the Batsymbol, so you know this party is pumping some sick jams. While they’re technically discontinued, The LEGO Batman Movie blind bag figures can still be found in stores and on Amazon, and each contains a single (usually hilarious, always awesome) Minifigure. Will you get Batman wearing a speedo? Black Lightning? Killer Moth? Take a chance and find out. Featuring Eddie Brock and his Other in mid-union, this is a sturdy, substantial statue. The sculpt and paint are excellent, and it looks and feels like it’s way more expensive than it is. You could get either of these two statues for the Animated Series fan on your list, but they’re so much better together. For starters, each statue comes with accessories for the other. But more than that, they just look so great displayed alongside one another. Go the extra mile—get the set. Yes, more and more manufacturers are doing amazing things with plastic, but there’s something about the heft of a resin statue, and the way the paint looks on that material. We haven’t got our hands on a lot of these this year, but we’ve loved the ones we have. Straight talk: if you’re shopping for a fan of the Marvel Cinematic Universe, this is one of the nicest things you can get for them. The sculpt and pose are outstanding, the paint is excellent, and the base looks ridiculously good. It’s big, it’s heavy, and it’s amazing. Do it. Okay, so we haven’t got this one, but Brian has lots of the other Animated Series busts, and they’re all fantastically sculpted and painted. And Clayface? Clayface looks better than all of them. If you’re shopping for a DC fan—or if you’re shopping for Brian—just get it already. This one looks like the cream of the crop. Like what we do here at Comics Now? Tell the world, with shirts, mugs, stickers, and more. Hit our Teepublic store for all of the available options. Some products defy categorization. Others aren’t comics-related. But if you’re shopping for full-bore nerds, these might just fit the bill. Paladone sent Brian a few things for the Batman News gift guide, and this one was definitely the most striking. It’s a canvas print of the cover to Batman #251 stretched over a box frame, and it lights up! This is by far one of the coolest things we’ve seen all year, and if you’ve got a Batfan on your list, then this is a sure thing. They’re small, they’re highly-detailed, and they’re awesome. Plus, they can stand on LEGO studs. They make a great stocking stuffer, too. A love of anime and a love of comics often go hand in hand, and you’d be hard pressed to find a better example of Japanese animation than Cowboy Bebop. Dumbgood have a new line of products based on the beloved series, including a variety of shirts and even a tote bag in which to carry around all of your other Christmas gifts. Most of their products are currently sold out, but check back after the holidays and pick something up with your Christmas cash or gift cards.